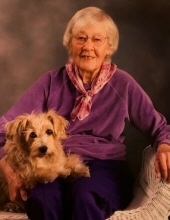 Eleanor J. Poole, 98, of Richland Center, died on Sunday, April 14,2019 at Schmitt Woodland Hills in Richland Center. She was born in Richland Center on July 1, 1920 the daughter of Earl B. and Hazle L. (Richards) Poole. Eleanor graduated from Richland Center High School in 1938. After graduation she attended Madison Business College and graduated from the Accounting-Secretarial course in June of 1939. Eleanor worked at Burnham’s Drug Store (Empire Drug Store) from 1942 until 1950, Richland Co. Dept. of Social Services from 1950-1952, Edwards Clinic from 1952 – 1962, and the Richland Medical Center from 1962 – 1988 and part time after her retirement in 1988. Eleanor was a faithful member of the Park Street Christian Church, where she played the organ and recorded church attendance for many years. She was an EMT, a member of the Richland Historical Society, and a member of the Richland County Homemakers. Eleanor volunteered at various community events including the Blood Bank and the Get Real Program. When she wasn’t volunteering, she appreciated attending many events in the community. She enjoyed traveling including her many bus trips with the Homemakers group. Eleanor continued her education by taking night classes to learn to paint and to make wood carvings. Eleanor was an avid writer and loved to keep in touch with relatives by writing letters back and forth. She took joy in spending time with her family and friends. Eleanor is survived by her cousins: Everette Poole of Myrtle Beach, SC, John (Lynette) Richards of Ithaca, Orlen (Alice) Richards of Ithaca, and Paul (Barb) Denman of Sextonville; many other relatives and friends. Eleanor was preceded in death by her parents, many cousins, other relatives and friends. To send flowers or a remembrance gift to the family of Eleanor J. Poole, please visit our Tribute Store. "Email Address" would like to share the life celebration of Eleanor J. Poole. Click on the "link" to go to share a favorite memory or leave a condolence message for the family.